The National Association of Home Builders (NAHB) Remodelers named Tim Ellis the 2014 NAHB Remodeler of the Year in recognition of his professional remodeling achievements. 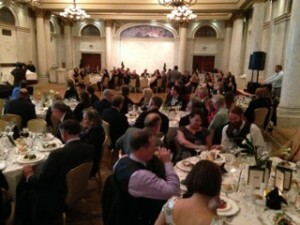 The announcement was made at the NAHB Remodelers’ gala on Oct. 23 during the Remodeling Show in Baltimore. Tim has worked in the remodeling industry for 20 years and joined NAHB Remodelers in 2002. His was the first residential remodeling project certified to the 2012 National Green Building Standard. He served as chair of the Home Builders Association of Maryland Remodelers Council and is an NAHB National Director and a member of the NAHB Remodelers Board of Trustees. In addition to an excellent customer service record, Ellis is an active community volunteer who exemplifies the remodeling industry’s charitable spirit. Ever since I founded T.W. Ellis, it has been my passion to constantly work towards improving myself and our business, as well as the remodeling industry in general. I want to have some input on something that makes such a great an impact on my livelihood. So I joined our local NAHB Remodelers Council and also got involved on the national level. I have learned so much through talking with other professionals, and it has greatly benefitted our company. We learn what’s coming down the road in this industry, and what other successful companies are doing. You don’t receive this kind of information by limiting your involvement to your own little company. And some day I want to be able to look back and know that I didn’t just show up for work, but instead I got involved and I tried to do good things for the industry. However, I’ve played team sports my entire life, and one thing I’ve learned is that a winning team depends on the efforts of many people—it’s not just one person. Most important are our wonderful clients. Without them we wouldn’t have a business like this. And then there’s Barry, Novie, Carolie and all the rest of our team. When I leave the office to participate in NAHB Remodelers councils and committees, I’m leaving behind additional work for them, since I’m involved with estimating on all our projects. I have to depend on them picking up the load while I’m gone, which they do incredibly well! My involvement in NAHB Remodelers also affects my family. My wife and I have four kids under the age of fourteen. For me to leave home for five to six days puts pressure on my wife. She has to handle of all the family activities that I usually take care of, in addition to her sizable routine. So this is why I invited 90% of my company and my wife to join me in receiving this prestigious award. I’m just so fortunate to have the people around me that I do—people I can trust completely, so much so that I can leave and know they will handle everything in my absence. I wouldn’t be able to be recognized as a leader without them. This award belongs to them as well. 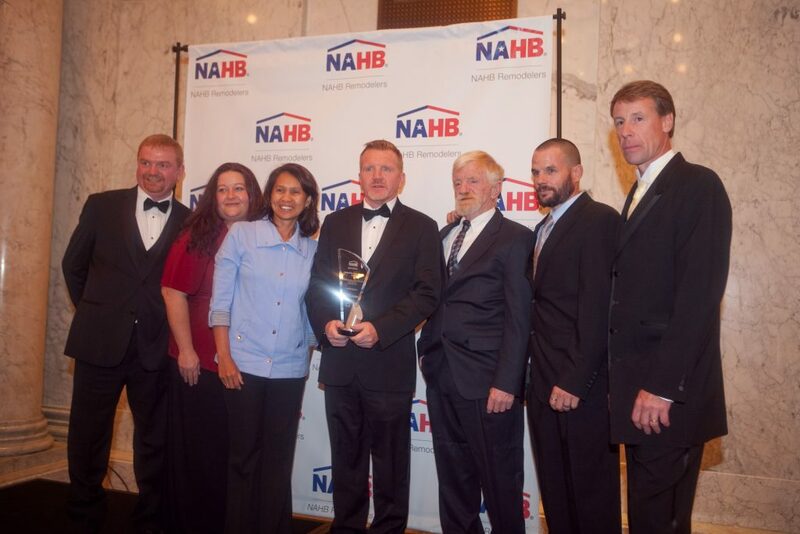 Read more about the award from NAHB, Remodeling magazine, and ForResidentialPros.com.